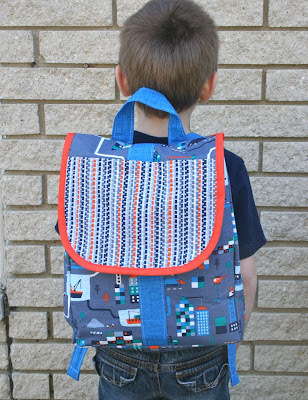 Sew Can Do: Pellon Bag Making Goodies Giveaway!! Pellon Bag Making Goodies Giveaway!! How about we kick-off 2012 with a fantastic crafting giveaway? Pellon, the maker of interfacing, batting & all the other "Magic In The Middle" materials, is featuring January as Bag Making Month on PellonProjects.com and to celebrate they have provided me with a super prize pack of their stabilizing products that are ideal for making bags. Purses, totes, diaper bags, lunch sacks, any kind of bag you want to make, they have a product that helps make it marvelous. I used Décor Bond® in my Flaphappy backpack last fall. This thin crisp fusible adds stability and support without extra weight. Perfect for all the crazy (and heavy) things my little guy tosses in it. 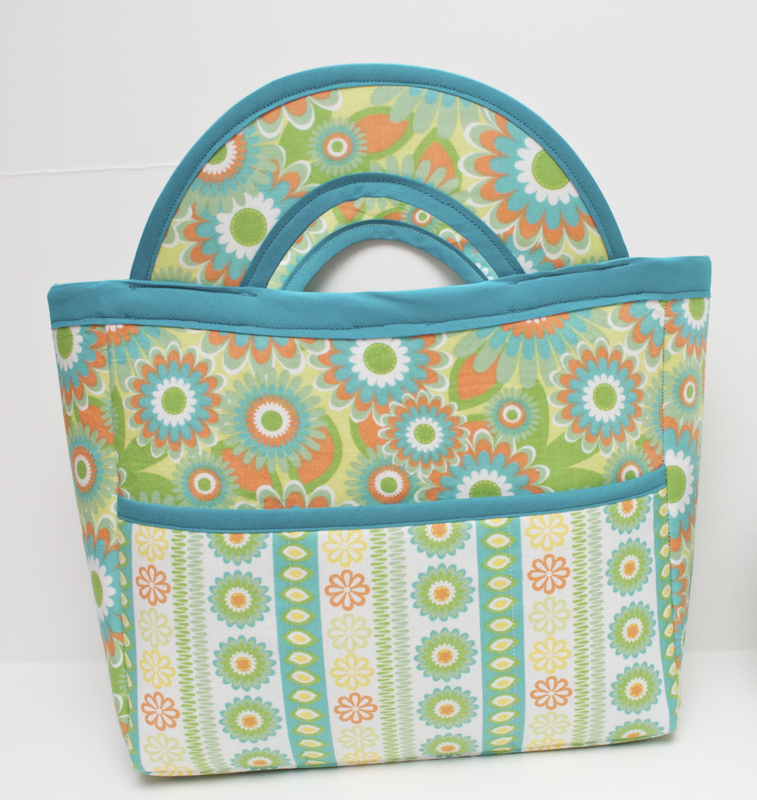 To make this sturdy lunch tote, I used Peltex® I Ultra-Firm 1-Sided Fusible Stabilizer. It's similar to the weight of cardboard so the bag really holds its boxy shape well. You can get my free pattern & tutorial for this bag on the PellonProjects.com site HERE. 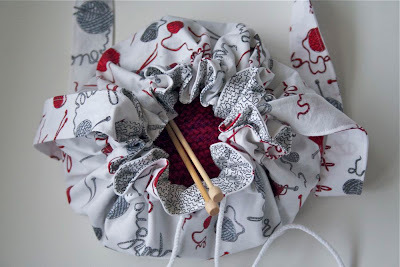 For the rest of the week I'll be sharing some new, easy bag tutorials (like the one pictured above) so you can see these products in action and be ready to make them yourself. 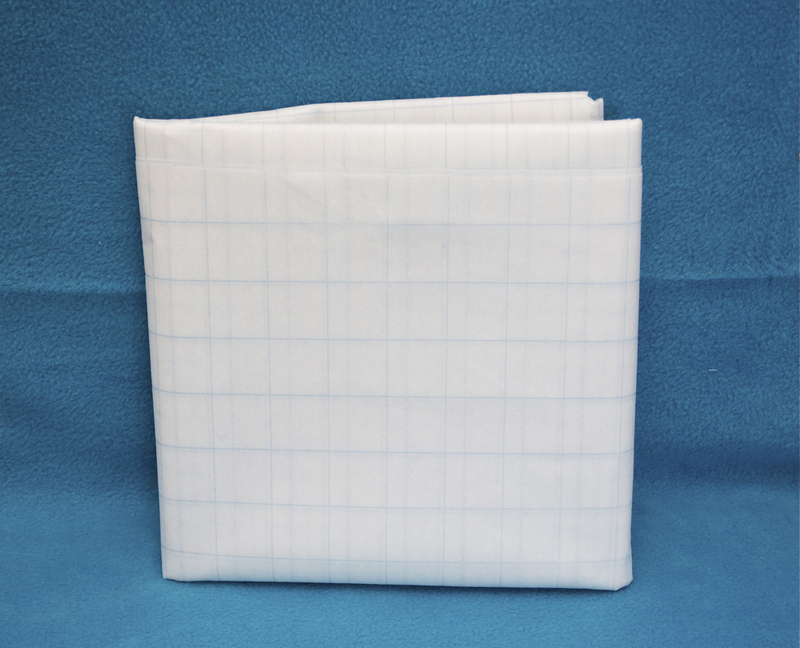 Another great sewing simplifier is their Tru-Grid® 100% polyester tracing cloth. When I'm drafting up a new pattern of my own or don't want to deal with temperamental tissue paper patterns this is the stuff I use. It's got a pre-printed 1” grid and big 45” wide size so it's great for creating, copying or scaling patterns. Unlike paper no rips or tears!! And if making bags isn't "your bag", these products have loads of other uses too. Even if you have zero sewing skills, these products can be ironed onto fabric, cardboard or even wood, so the possibilities are endless. SF101 Shape-Flex®. 100% cotton woven fusible interfacing. 20” wide. 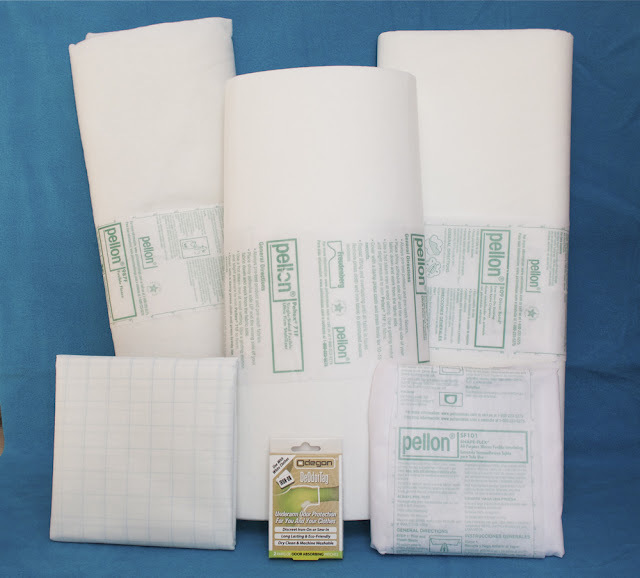 987F Pellon® Fusible Fleece. 100% polyester lightweight low-loft fusible fleece. 45” wide. 71F Peltex® I Ultra-Firm 1-Sided Fusible. 100% polyester. 20” wide. 809 Décor Bond®. 90% polyester/10% rayon fusible stabilizer. 45” wide. 810 Tru-Grid®. 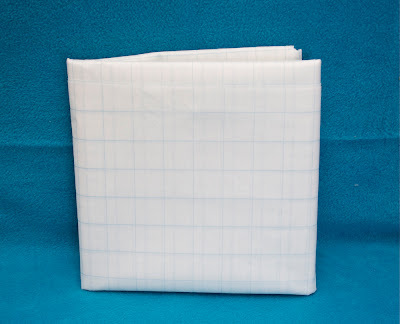 100% polyester tracing cloth with 1” grid. 45” wide. AND a box of 4 Odegon deodorizing patches! Want to keep a gym or laundry bag from being stinky? 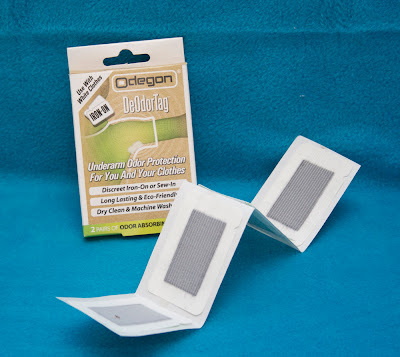 Just iron or sew in one of these patches to keep odors neutralized. Also great for clothing & entirely washable. And I'll be sharing some other ideas for using these soon too! This prize has a retail value of over $55!! Holy mackerel is this a lot of crafting loot! Stop by PellonProjects.com, then come back and leave a comment telling what your favorite project is. Be sure to include an email address if it's not on your profile. Giveaway will be open until 11:59PM EST January 18th, 2011. GIVEAWAY CLOSED. Giveaway is open to residents of U.S. and Canada only. The random winner will be chosen and announced later that week. Good Luck Everyone! Love the Attic Windows Quilt, will have to give that one a try! I like the Art Journal pages. Liked Pellon Projects on FB. I like the Tasty Tote lunch set. I have always been a huge fan of lunch. I could use the loyalty card wallet on Pellon Projects! I love the Pellon Fusible Fleece. This would make projects SO much easier! I am already following your FB page! I like the t-shirt quilt! I "like" Sew Can Do on FB. I love the floating four patch quilt. I already follow you thru GFC! i like the essential clutch! i follow Sew Can Do. thanks! Love Pellon! Would love to try the Child's Art Embroidery Keepsake, what a great idea!!! I'm a Pellon facebook fan! And I like Sew Can Do on facebook! I'm itching to try out the Spiral Notebook Cover! I want to make the kids lunch totes but at the same time I want to get a tea kettle just to make that stinking cute tea pot cover thing!! I love the Holiday in Paris spa set. So gorgeous. I really like their wool batting! i like the ebook pouch! I LOVE the Steampunk Sublime Quilt!! Fabulous!! The small fry dufel bag looks cute...and useful! I love the t shirt quilt! I subscribed to the Pellon newsletter. I liked the My Little Playhouse and I know my grand daughters would love it. Thanks. So let me get this straight.. You can sew in deodorant _in the shirt_? That needs to go under the tongue of my shoes too. Neat stuff! I signed up for the Pellon Project newsletter. I think the Tasty Tote lunch set is a great project! My favorite project is the IPad or Laptop case. I promised my daughter I'd make her a laptop case, so this is great. I like Odegon on FB. I signed up for the Pellon newsletter. the essential clutch sounds like a great project! Your lunch tote is my favorite. I liked Pellon on FB! I liked Sew Can Do on FB! Holiday in Paris Spa Gift Set is my fav project! I love the essential clutch. I signed up for PellonProjects newsletter. BTW, great giveaway. Would love to make the small fry duffle bag for my granddaughter to use when she comes for a visit. Ok, the last entry had weird gaps and spaces in it. It looked weird. So I deleted it and going to try again. Here is my twitter entry. I think the Thread Catcher is cute. A bit different then a lot of them I have seen. Like Pellon on Facebook ! And Liked Sew Can Do on FB! I shared the giveaway here! thank you! I love the essential clutch---just what I've been looking for to make for my daughter! By the way---your space princess hat is absolutely adorable! Love your page! Wow! I'd love to win the Pellon products! I visited their website and liked several projects... I'm still in love with Christmas so my favorites were: Joy & Peace Tree Skirt, the Snowflake ornaments, the Wreath Christmas Card, the Holiday Two block Quilt (can't even believe that's in the beginner's section ~ looks fantastic! ), and last but not least, the Holiday in Paris Gift Set! I've gotta start these projects for next year! I liked Odegon Tags on Facebook! Holiday in Paris gift set. I really like the Lindsay Tote. Thanks for the giveaway! THe Steampunk Sublime Quilt is amazing!! I like any bag project! I love so many Pellon products it is difficult to pick my absolute favorite. But, I guess it would be Legacy wool batting. I like Odegon on Facebook. I like "The Essential Clutch", but when my girls were little they sure would have loved the "My Little Playhouse". Love the laptop case! I need one badly! It's now on my "to do" list! LOVE LOVE LOVE The Childrens Art Embroidered Keepsake. I'm a new follower of Sew Can Do! I follow Sew Can Do. I like the Lindsay Tote. I like the Halloween Luminaries. I liked several that I think I will try; starting with the Funky Fast Coasters & Spiral Notebook Covers. The Convertible Clutch is my favourite project. It has a rather unique, and smart look. I would love to try the "808 Craft Fuse". Sounds like a great batting for quilting. I've signed up for the pellonprojects' newsletter. Ooooh- my favorite is the picnic bag and blanket set! "Liked" Sew Can Do on Facebook! I like the Caliti Convertible Clutch, but they're all cute! Thanks for hosting this! I've wanted a case for my scissors and rotary cutter and I think I would make the sewing case. I really liked the Market 2 Market bag as well. I've used the Pellon Fusible Fleece in tote bags. I'll have to try the Legacy bamboo batting:) Have a wonderful day! wow. just found your blog. i am always having trouble deciding which interfacing to use. I love Pellon products! I never thought to check out their website though, they sure have some great crafting ideas. My favorite is the Tasty Tote Lunch Set. Very cute. I love the tasty tote lunch set! it's so cute!! The caliti convertible clutch is my favorite on their site. I like Pellon Products on Facebook. I subscribed to their news letter. I like the iPad case project! I'd have to say that picnic bag and blanket set are hands down my favorite projects. They are so cute and I'd love to make those for outings with the hubby. I love the market to market tote, i have a few friends that now take there lunch to work, this project would be perfect gift to them. I'm now following Sew Can Do. Thanks for the giveaway and the cute tutorials. I hope I win so that I can make the Messenger Bag! I love the Market2 market tote pattern! I am a new follower of Sew Can Do! I have signed up for the PellonProject.com newsletter...Thanks for the chance to win! Definitely the laptop or Ipad case. I like the Caliti Convertible Clutch! I am also a new follower of Sew Can Do!